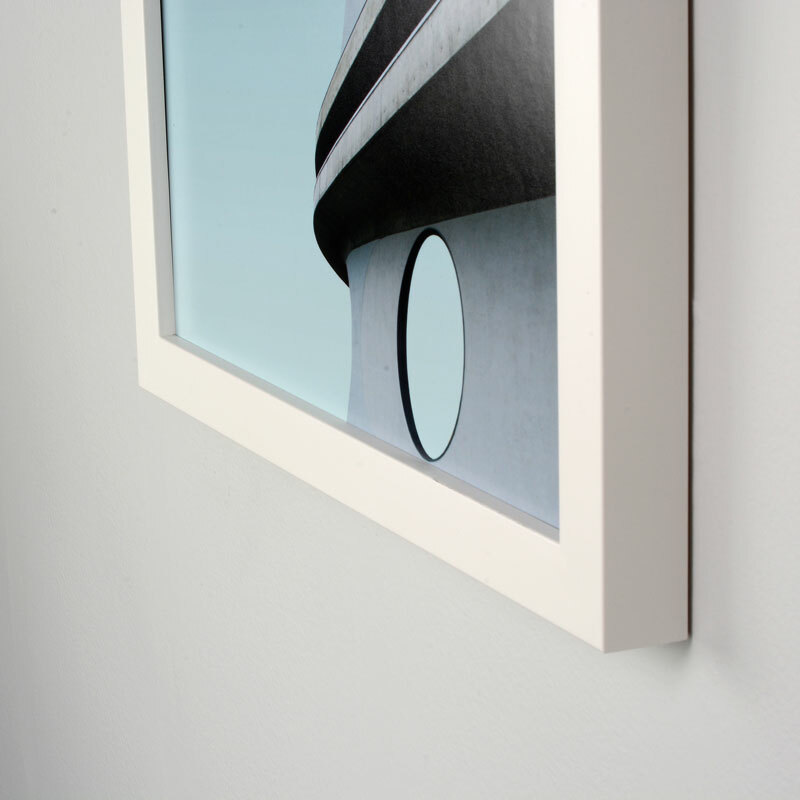 Profile color is one of the distinctive features we notice when looking at a frame, and the right one can complement the artwork perfectly. We've grouped our profiles into three classic collections to make it easier for you to decide. 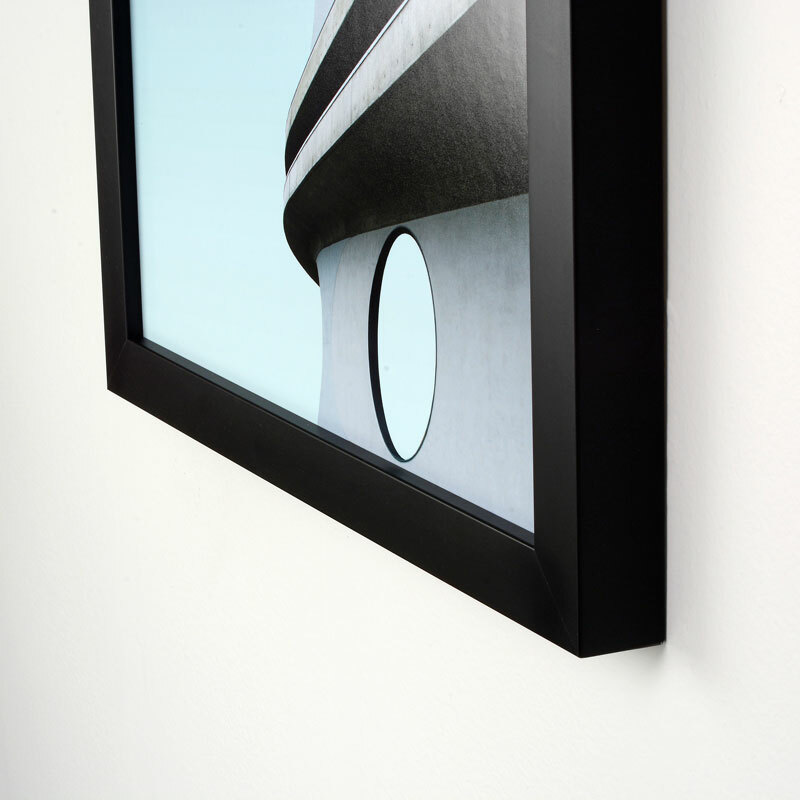 The gallery frame is a go-to classic thanks to its clean, modern lines and ability to match any room decor. These frames offer a stylish, minimalist look for people whose tastes lean more modern and simple. Black and white are classic choices that don't appear everywhere just by chance. 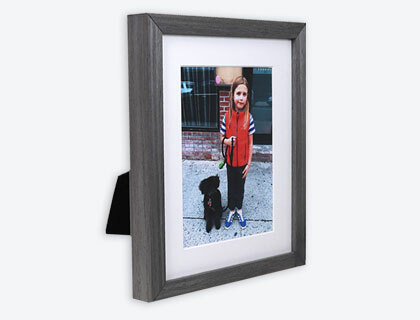 This duo is the most situationally-friendly when it comes to framing as they work well with most interiors, artworks, and photographs. By definition, rustic style relies on warm, homey design elements that are a little rough around the edges, but in a uniquely charming and welcoming way. 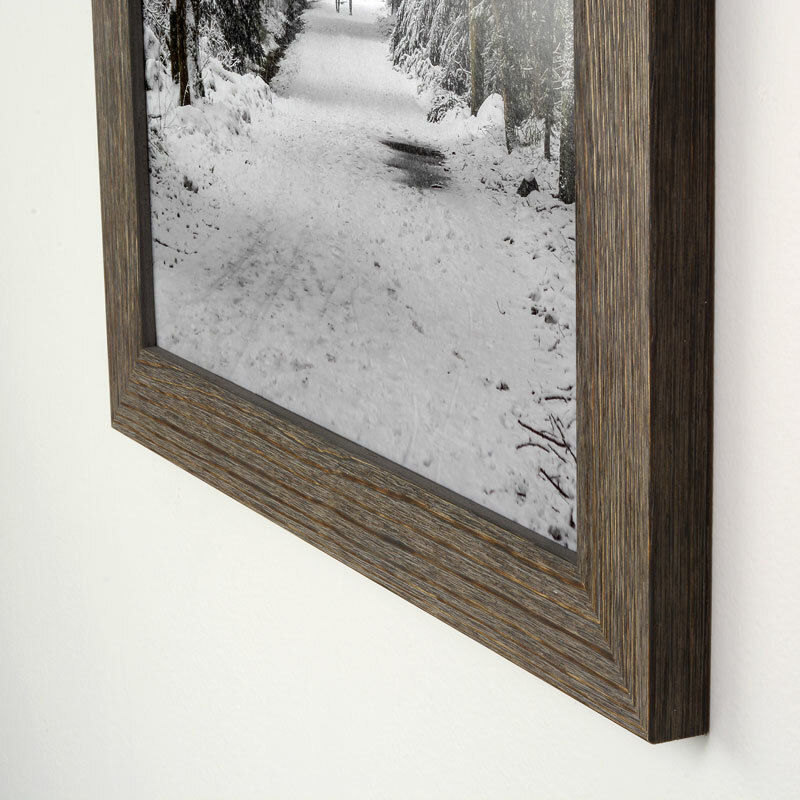 With rich natural textures, these frames are the perfect home for nature and travel photos, as well as large artwork of any kind. 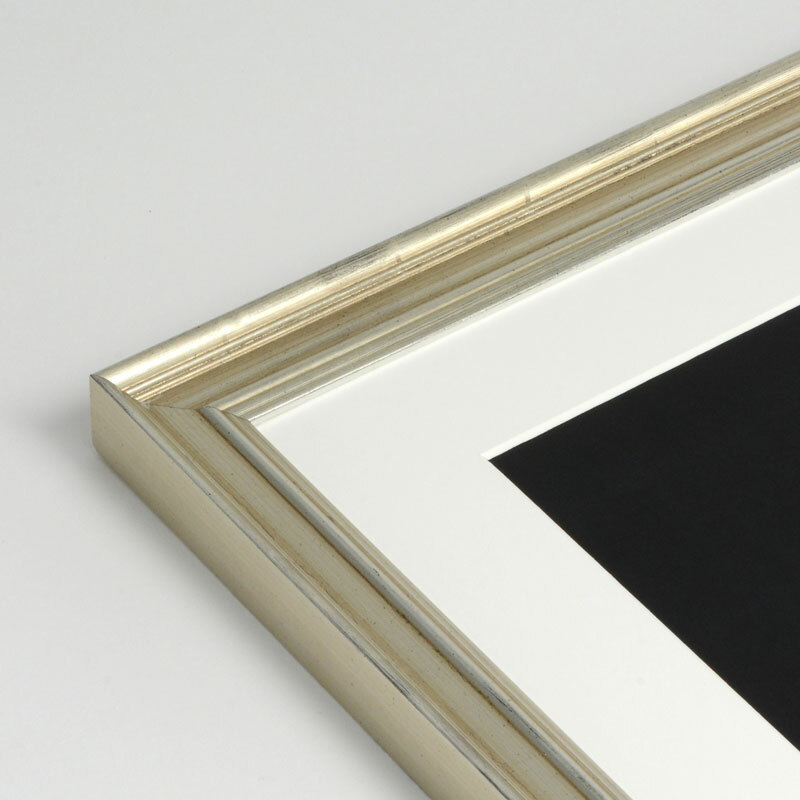 With three styles to add a decadent pop of silver or gold to any room, a classic profile complements your artwork with a little bit of shine. 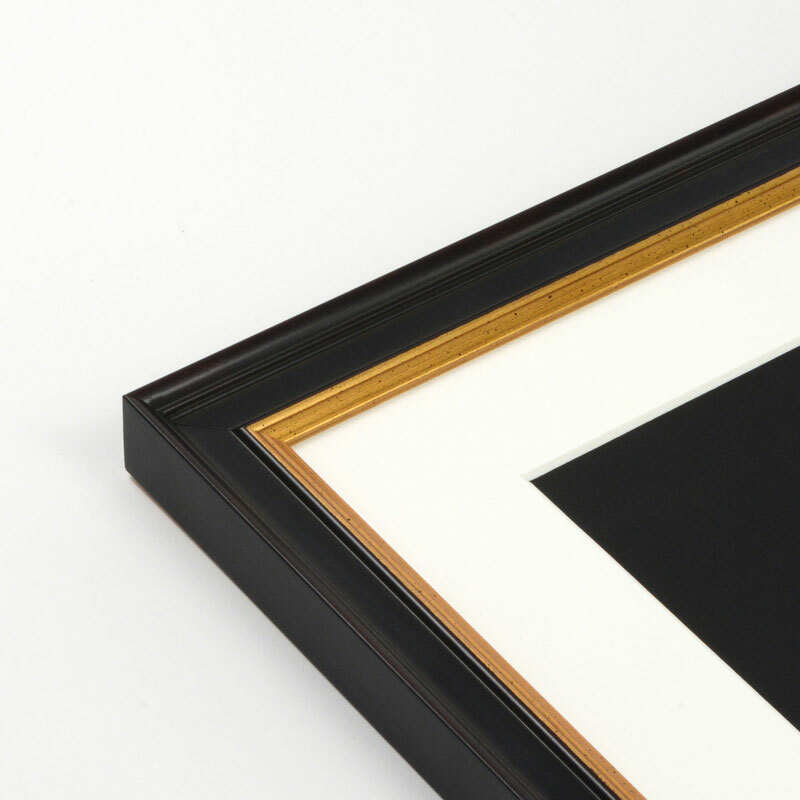 When framing your diploma, or something with sentimental value like a wedding photo, these eye-catching profiles will add extra charm. 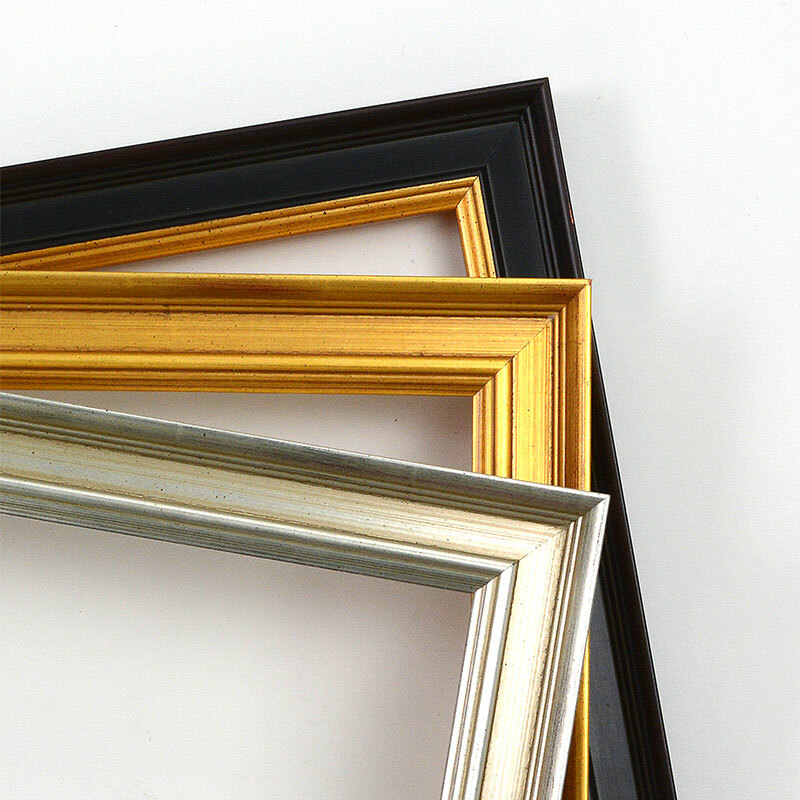 If you're in need of framing recommendations, or would like to have some one-on-one help with a style decision, don't hesitate to chat with us! Our unique frame builder is useful tool that can help you visualize different frame styles. Give it a go below! It's still not even close. 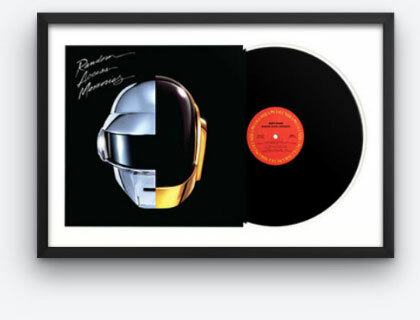 @levelframes is still the absolute best / fastest / cheapest way to frame a thing. Seriously." Continue with the rest of this guide to give you some additional guidance on what style and colors to go for. 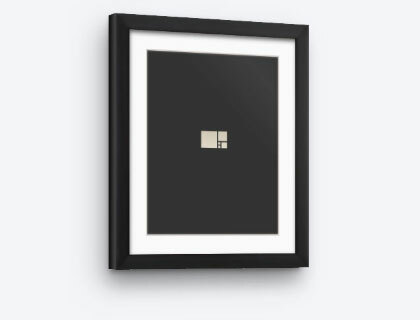 1) What is the medium of art you're framing? 2) What is your focal point? 3) What is your current decor style? 1) What is the Medium of Art? 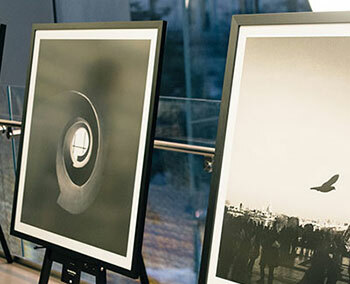 Because of their diversity in subject matter and affordability, posters and prints are a crowd favorite when it comes to purchasing wall art. 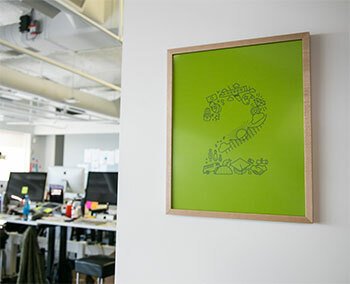 Never let your poster go bare on a wall because you couldn’t decide on which color frame to choose - aim for a color that’s already used in the piece. Struggling to decide if you should add a mat? We provide some insight here: choosing the right frame and mat combos. Black and white photos are generally accompanied by black and white frames. 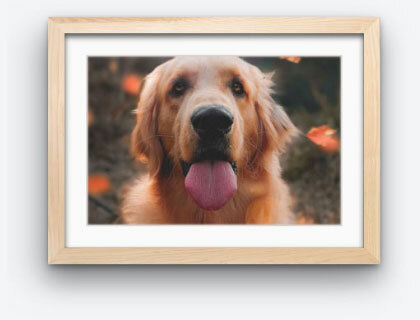 Frames for colored photos, much like prints, should ideally complement the dominant colors in the photo. 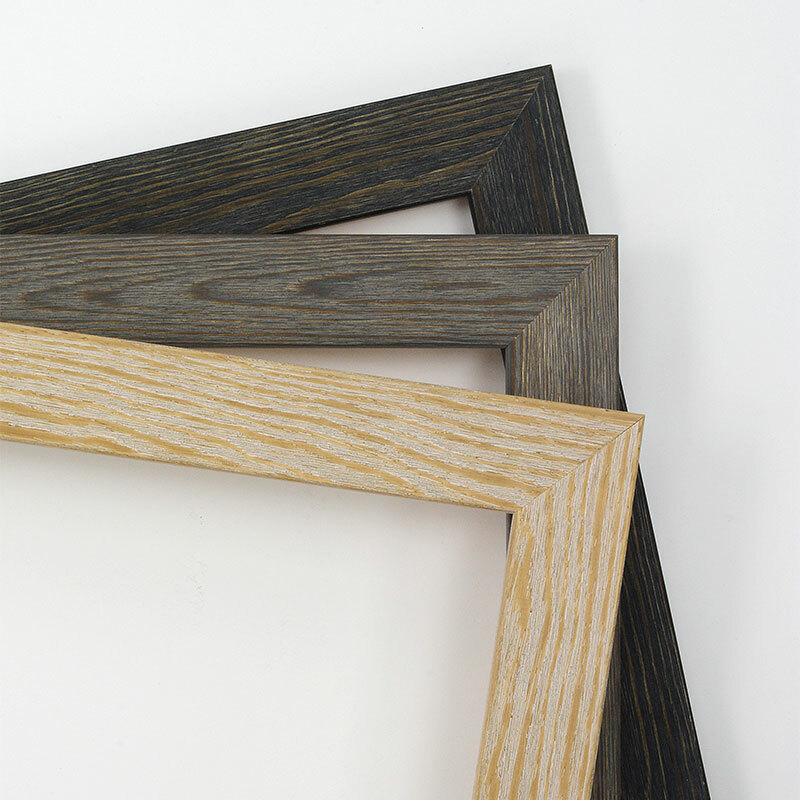 Traditional works such as charcoal, pastel, and watercolor go well with modest natural wood frames. 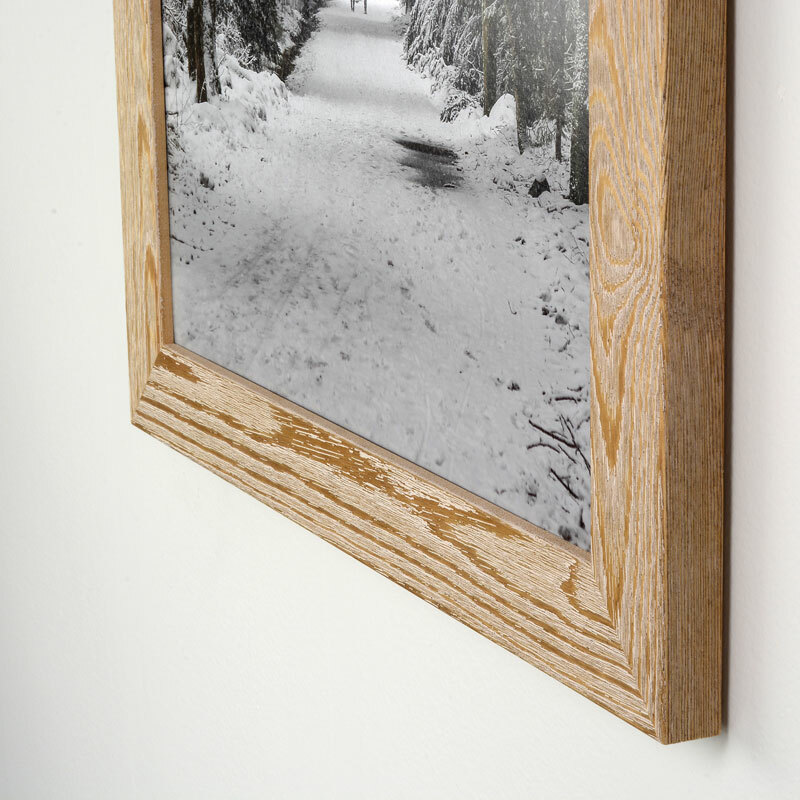 Our natural gallery and rustic profiles show off the wood's grain beautifully which lends itself to a more unrefined, approachable feel. 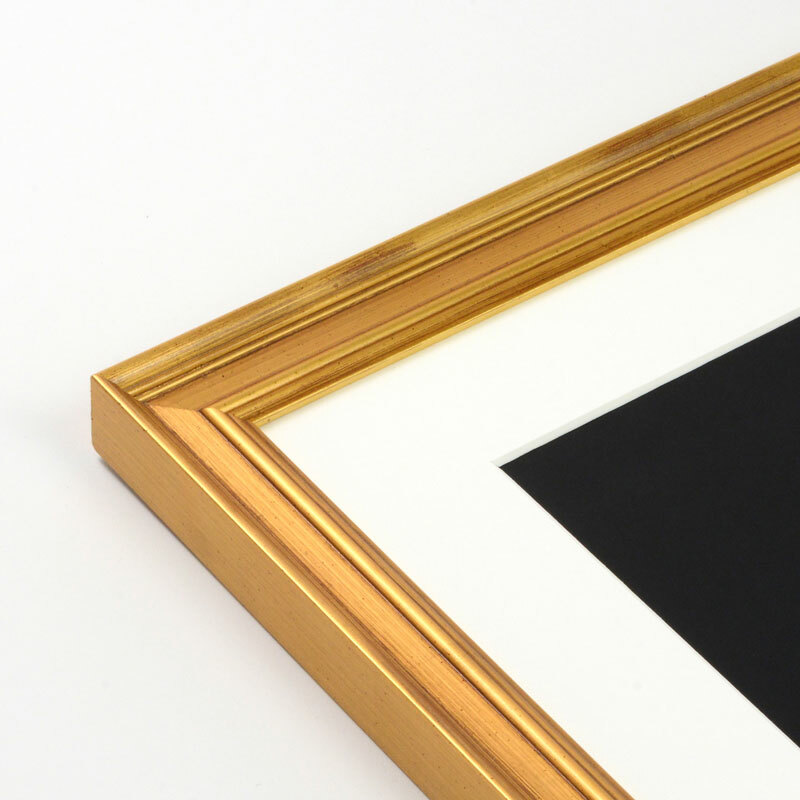 Determining the focal point of an artwork is often a subjective task, so you as the art enthusiast should determine what you want the eyes to focus on. You can call out specific elements, tones and emotions by utilizing opposing subject and frame colors. You can also manipulate the mood of your subject simply by changing the color of the frame. 3) What is your Interior and Decor Style? 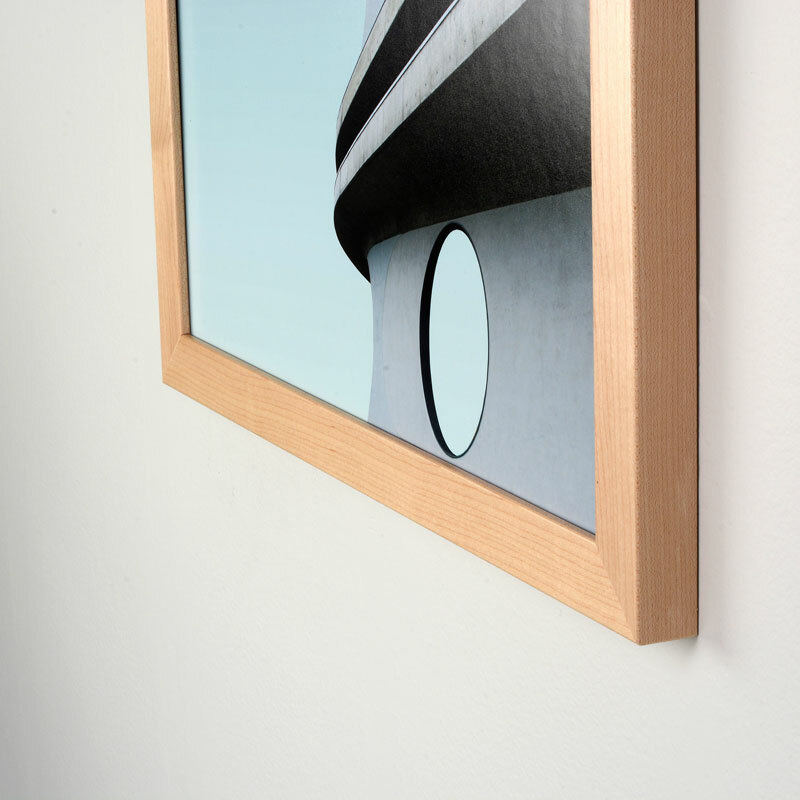 The location and hanging placement of your artwork is just as meaningful as its accompanying frame. Decide where you would like your art to reside. If you’re selling the work this may remain a mystery but if you’re responsible for its final resting spot, you don’t want it to look out of place. 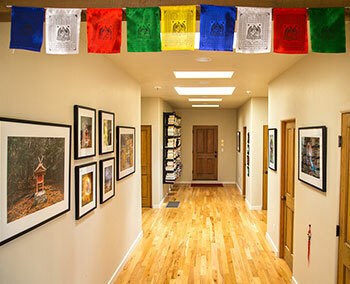 If your gallery comes in the form of a residential home then it will come down to your current surroundings, style and personal taste. 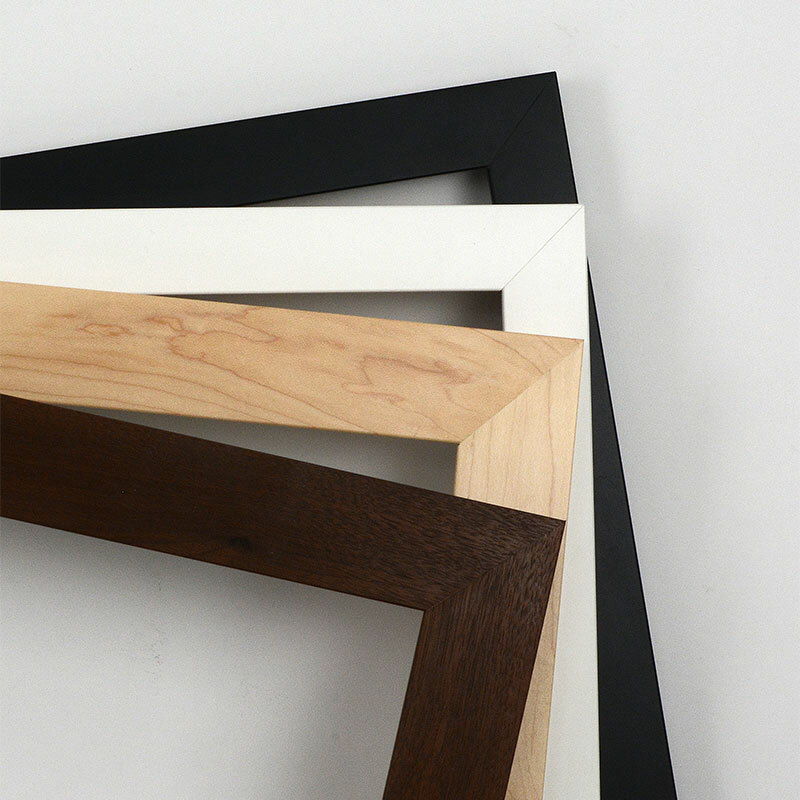 Modern, industrial, and contemporary homes pair well with white or black frames. In rustic, vintage, and bohemian dwellings, natural wood tones would look right at home. Don't be afraid to match your frame color with existing furniture you may have to create a cohesive space with various complementary features. 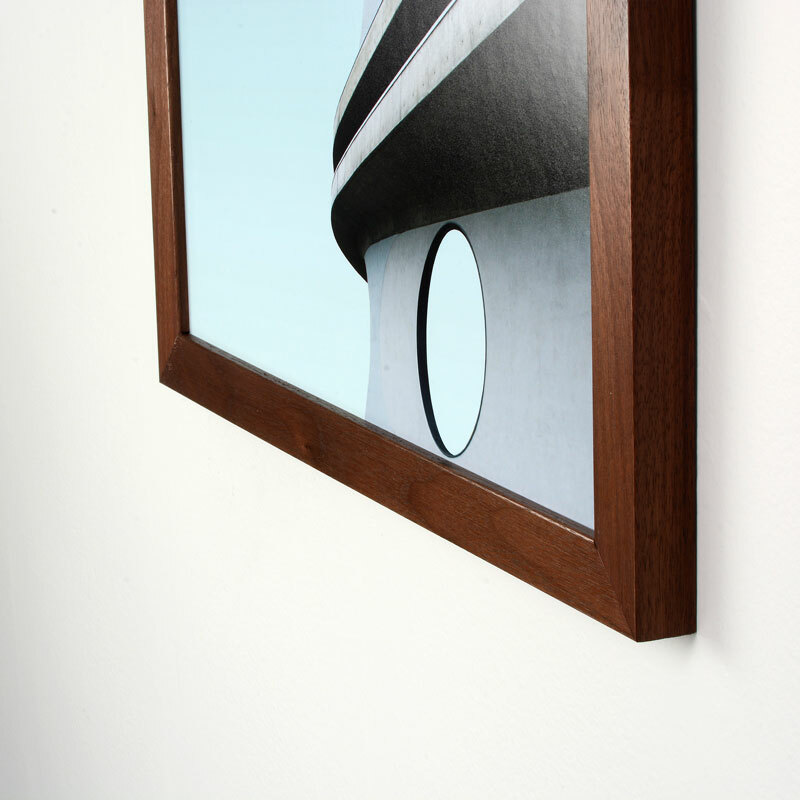 Just reach out if you'd like us to match a specific shade from your room and we'll see track down any frames that'll fit. 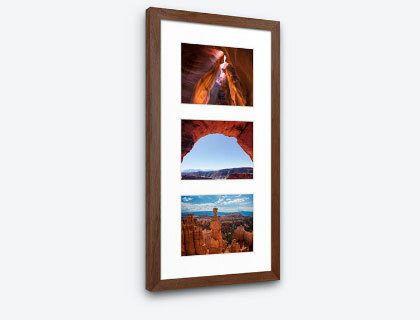 Or learn more about our Online framing service here.